Hertz has been leading the car rental industry in the Middle East with quality vehicles and efficient customer services. In 2013, the Hertz brand has been recognised for these qualities by customers just like you by voting for the brands that are the best in their industries. Winner: Best Car Rental Company in the World, Business Traveller Magazine (2013). Voted by business travellers around the globe in recognition for having the best connections on the ground. Hertz won this award for the fifth time and for the third year in a row. The award recognises excellence in car rental product and service delivery during the prior year. Winner: Best Car Rental Company in the Middle East, Business Traveller Middle East Awards, 2011, 2013, 2015, 2016, 2017. Award targeting business travellers across the Middle East region to vote for the airline, hotel and car rental brands that are the best in their respective fields. Criteria was based on customer votes for the nominated brands. Winner: Superbrand status in UAE and Kuwait. Annual award for brands which are the most honest, trustworthy for consumers as voted by 2,000 marketing industry leaders in the Middle East. Hertz UAE has won the award from 2010 to 2016 consecutively and now 2018, and Hertz Kuwait won the award for the first time in 2012. Winner: Gold Award, Best Car Rental - International Brand, MENA Travel Awards (in 2013 and 2014 in the "Best Car Rental - International Brand, Middle East and North Africa"). 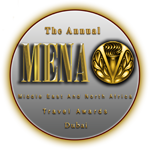 Travel industry awards covering Middle East and North Africa region. Criteria was based on customer votes for the nominated brands. This is the first time Hertz has won an award in the MENA Travel Awards (in 2013 and 2014 in the "Best Car Rental - International Brand, Middle East and North Africa"). Winner: Best Rewards Programme in Middle East, Flyer Talk Awards (2013). Hertz has won every car rental category for every region of the Flyer Talk Awards for Hertz Gold Plus Rewards, which compared 143 Airline, Hotel and Car Rental loyalty programmes. Winner: 2013 TripAdvisor Travellers’ Choice Awards for Travel Favourites (Car Rental Agency). Voted by nearly 40,000 travellers around the world on which brands they prefer to use on their trips. Hertz is the first car rental brand to win this award. Winner: GBTA Fast Company Business Traveler Innovation Awards (2012). Hertz won 3 categories of the GBTA Fast Company Business Traveler Innovation Awards, designed to recognise products and ideas that help to make business trips easier and more productive. Winner: Best Overall Car Rental Company, Zagat's 2013-2014 Car Rental Survey. Winner: Best Vehicle Selection for a Rental Car Company 2013, Leading Edge Awards, Executive Travel Magazine. Executive Travel Magazine readers voted for their favourite travel providers, selecting Hertz in 2012 and again in 2013. Hertz was also recognised for ‘perennially bringing innovation’ to the industry. Winner: Travel + Leisure 2013 World's Best Award as the Best Car Rental Agency. For the 2nd consecutive year, and 16th time overall, Hertz was honoured with the Travel + Leisure 2013 World's Best Award as the Best Car Rental Agency. The survey is the definitive list of preferred travel brands as voted by its well-travelled readers. Top 100: Hertz listed as one of the ‘100 The World’s Most Reputable Companies’, 2013. Hertz is the only car rental company listed in the “2013 Global RepTrak™ 100 The World’s Most Reputable Companies following a survey of 57,000 customers by Forbes and Reputation Institute. Winner: Best Rental Car Agency Worldwide, 2013 Frequent Business Traveler GlobeRunner Awards. Hertz was voted by 110,000 of the world's most experienced and savvy international travellers to the their preferred car rental brand. Winner: 2013 Colloquy Loyalty Award. Hertz Gold Plus Rewards was recognised for ground breaking initiatives in loyalty as part of the unwavering efforts to put the customer at the centre of the rental experience. Winner: 2013 Women’s Choice Awards (Car Rental Services). Hertz won 4 categories (Best for Business Travel, Best Loyalty Programs, Best 'Green' Options, Best Overall Customer Service) in the Women’s Choice Awards, as voted by 100,000 female consumers and Travel Agents in the annual survey. Winner: Best Travel Deployment, Digtal Screenmedia Association’s Industry Excellence Award. The Hertz ExpressRent virtual agent kiosks was recognised for its innovation combining the flexibility and speed of self-service with the option of a personal touch by enabling live video chat with a Hertz agent. 2016 to 2018 "Supplier of the Year" for UAE, across all Dubai Airport locations. Experience the Hertz difference yourself.